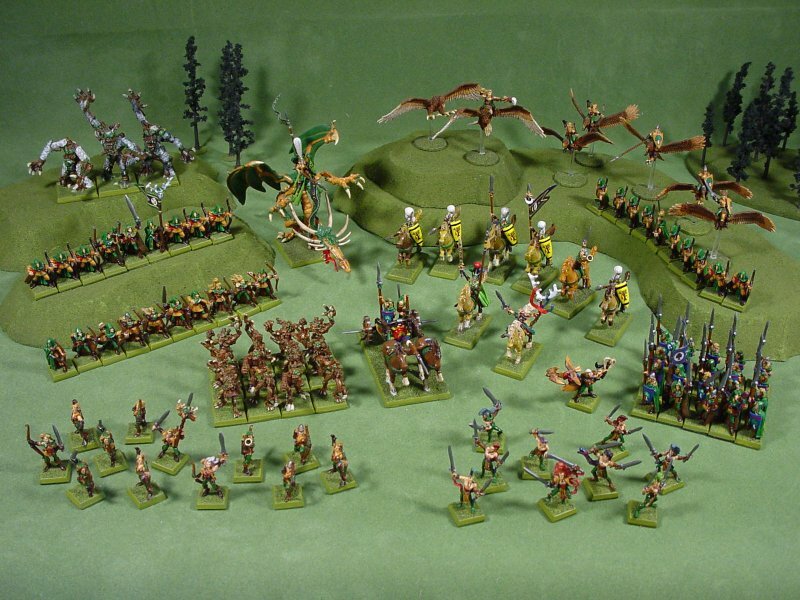 This is my Wood Elf army. Although these figures are not for sale, I can paint more just like them. Or, I can custom paint them to your specifications. Email me for details. I can also send higher resolution pictures if you want better detail. Click anywhere on this image to see close-up pictures.